Hello friends and welcome back! Brand new challenge #109 is starting today at The Male Room Challenge blog with a theme Anything Goes – Optional Twist One Layer! I must admit that Anything Goes challenges are my absolute favorite as I get to create whatever I want 🙂 or need! AAA BIRTHDAY Challenge – Coming in May!! I’m really excited to share some awesome news with you today!!! I am so honored and overjoyed to be part of the Design Team for the new challenge that will be starting soon – AAA Birthday Card Challenges. 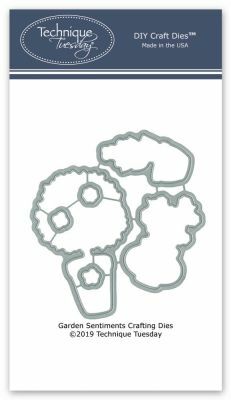 Do you love making cards? Are the majority of your cards for birthdays? Well this could be the ideal challenge for you! AAA Birthday is a sister challenge to AAA Cards, but we want to see all styles of cards, not just CAS. There will be themes to challenge you and we hope you’ll join in and have fun! Pop on over to the AAA Birthday Challenge blog and meet the DT – HERE. I am so excited to share with you Club La La Land April 2019 Club Kit! This month little Marci is in Paris and she comes with super adorable poodle friends and amazing dies in coordinating theme! With Mother’s Day only a month away, we are celebrating all Women and Moms at Technique Tuesday and are having exciting special promotion (details below)! When you sign up for the newsletter you will receive FREE SHIPPING offer code 🙂 This special offer runs until Tuesday 4/16 at midnight! 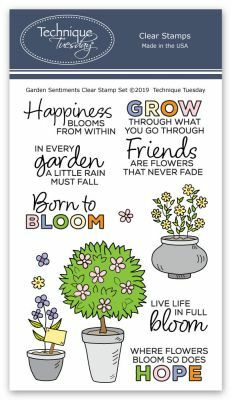 Today I am sharing two cards I’ve created with Technique Tuesday Garden Sentiments stamp and crafting die set! These beauties are the part of their April 2019 release and are so much fun to play with.